This is it folks! The penultimate chapter of the Morgan Edge saga! And you can’t even tell by the covers! 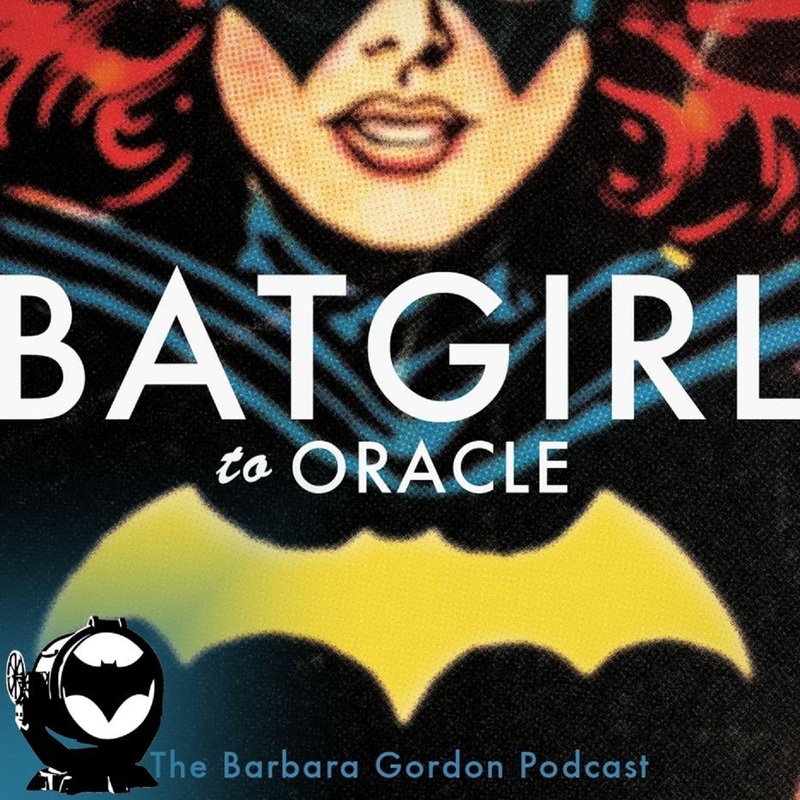 Revealed this episode: The origin of the Morgan Edge clone, the whereabouts of the Outsiders since Habitat was destroyed by the 4-Armed Terror and what Lucy Lane has been up to now that she is no longer attached to Jimmy Olsen (hint: she isn’t Superwoman). 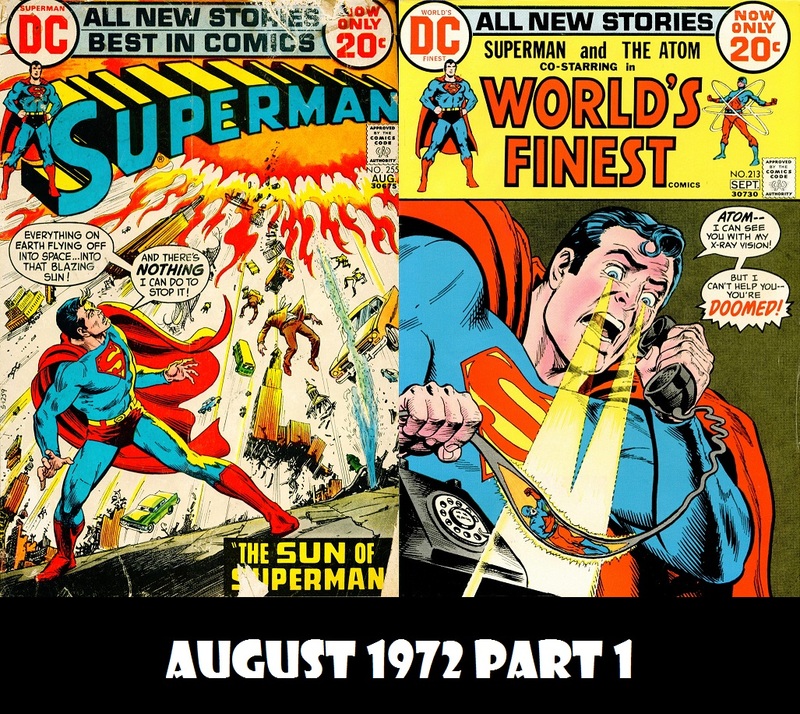 If you would be interested in guest co-hosting an episode of Superman in the Bronze Age, please send me an email at superbronze1970@gmail.com, and we’ll discuss an episode for you to guest on. If you would like to comment on the show or contact me, you can to so in the following ways: you can leave a comment below or you can email me here. You also private message me or leave a comment at the posting on the Superman Homepage. 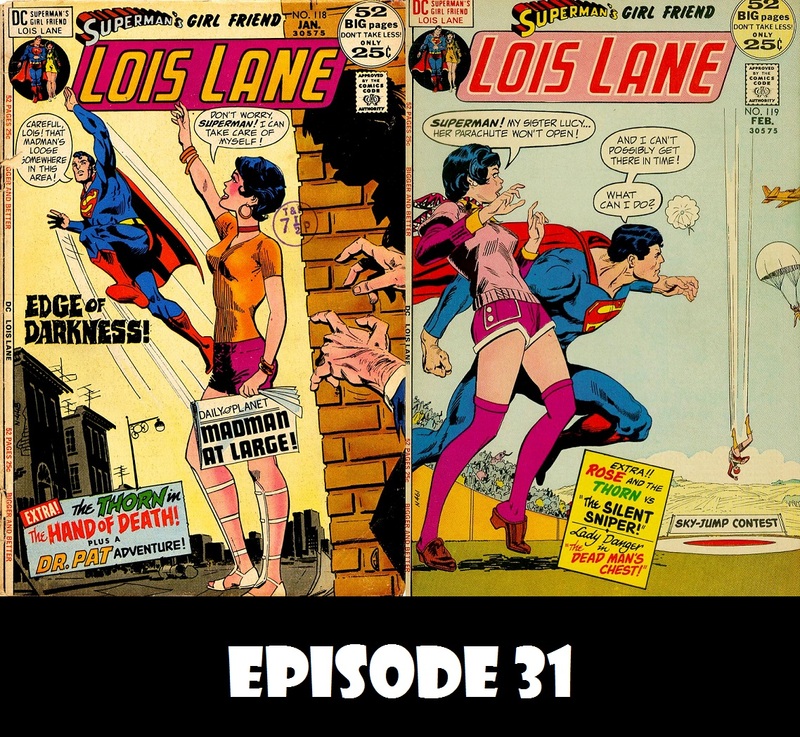 Here it is folks, episode 30 of Superman in the Bronze Age! Once again, J David Weter from Superman Forever Radio, PADSMASH! : An Incredible Hulk Podcast, Xavier’s Podcast for Gifted Youngsters, The Mighty Shield: A Captain America Podcast and The Walking Dorks Podcast joins me to discuss some good old Bronze Age Superman goodness. 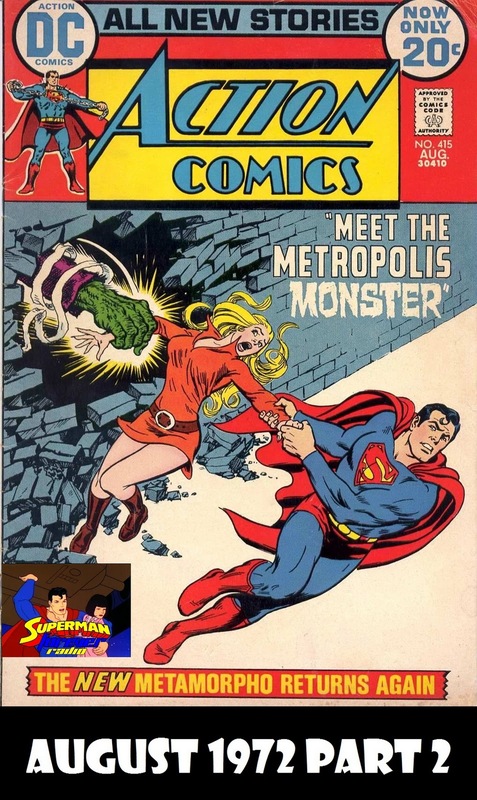 In part 2 of our coverage of August 1972, Superman saves the world from a monster (but not the one you think), Metamorpho reminds us that trapping yourself in a mine is a bad idea (and not for the reasons you’d think), plus we have some interesting ads and Elsewhere in the DC Multiverse. If you would be interested in guest co-hosting an episode of Superman in the Bronze Age like David does here, please send me an email at superbronze1970@gmail.com, and we’ll discuss an episode for you to guest on. 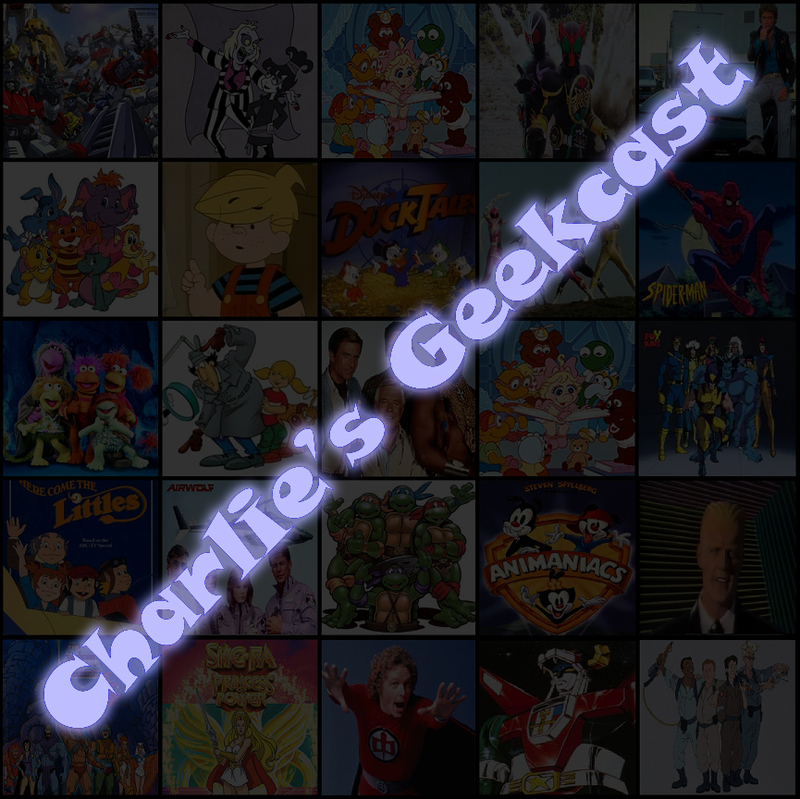 It’s a day late, but it’s still time for Episode 29! This time, J David Weter from Superman Forever Radio, PADSMASH! : An Incredible Hulk Podcast, Xavier’s Podcast for Gifted Youngsters, The Mighty Shield: A Captain America Podcast and The Walking Dorks Podcast joins me to discuss some good old Bronze Age Superman goodness. In part 1 of our coverage of August 1972, Superman saves a a blast from his past, there’s a confusing Kryptonian love story and Superman Teams up with the Atom! Greetings! Thank you for downloading Episode 28. 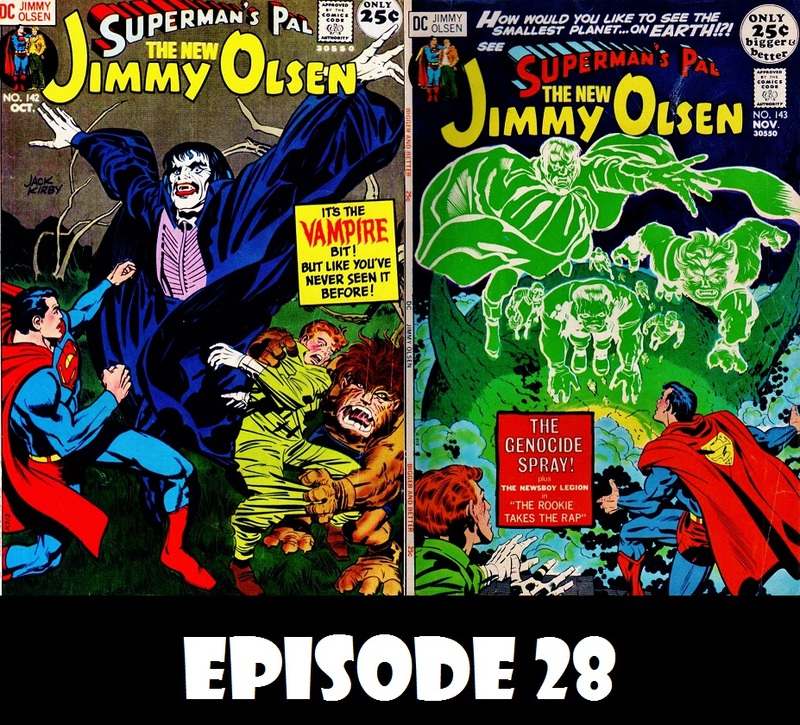 This time out, we take our last look at Kirby’s run on the Jimmy Olsen title by experiencing Jack Kirby’s version of some classic monsters. It’s far out!